We’re not quick sure how to categorize these links but they’re all MG related! I HAVE always been fascinated by the products and the politics of the company that currently survives under the title of the MG Rover Group. Being a child of the 1970s, I have grown up with the company being constantly in the newspapers and on the television; and it always used to intrigue me as to why our own media seemed so hellbent on destroying our only domestically owned large producer of cars. At the end of the day, the company employs thousands of people in the Midlands, and to destroy the company would deprive many, many people of their livelihoods. Lots of information and links. You can also visit the “shop” to purchase items including a heritage certificate for your car. This website attempts to unite the owners of the remaining Costello MGB V8s of the early 1970s (and a few from the early 1990s) so that they may share experiences, admire each other’s vehicles, and generally celebrate the car that convinced British Leyland to build their own V8 model. Their effort was not generally considered to be as good as Ken Costello’s innovative ‘original’, thereby giving the Costello V8 cars a distinct cache, sought after evermore today by enthusiasts. 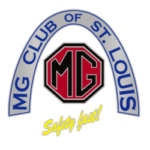 Online multi­media history of the MG in America. Available clothing and accessories can be viewed on-line. Go to http://broderbros.com and select the items, colors, and size. Note the catalog number, then call Mary Lou for a price quote. Ask about special instructions such as your name, colors, and font style.